Preparing for this 5K was a bit different than I've done in the past! It was a perfect day for a run! 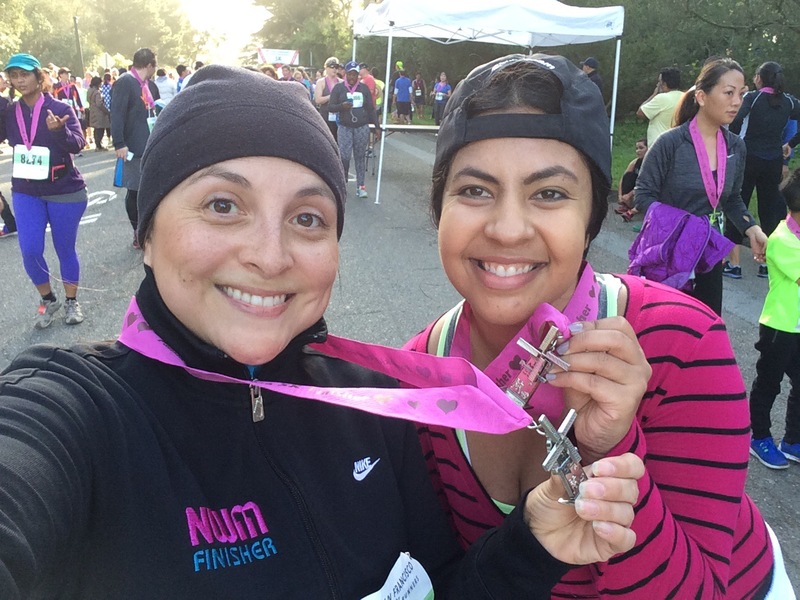 On February 14th I ran my first 5K of 2016 through Golden Gate Park in San Francisco, CA with a PAMAKIDS (family running group) run sponsored by Kaiser Permanente. This annual run is particularly special to me because I first participated here as a part of my therapy to overcome post-partum depression in 2007. A therapist instructed me to do “something Sofia likes to do”. Although I’m a runner, this part of myself had been ignored for several years. For the last 9 years, I’ve participated in atleast 1 run per year. This year I had to be prepared in a different way. This was my first time running as a nursing mother. How did I do it? These two elements were key. Safety and comfort first. I taped up my foot with KT Tape, kinesiology tape, because it supports the arch of my foot while running. I also wore a Moving Comfort Juno sports bra because not only does it provide maximum support, but the straps actually make it very convenient for nursing. It’s not advertised as a nursing sports bra but, after researching several reviews, I wanted to give it a try. I love this sports bra! Timing counts. I planned our morning taking in to considering driving time, nursing time, and race start time. I drove from Stockton, CA to San Francisco, CA and arrived at 6:50AM. This was just enough time to park in Golden Gate Park’s parking garage, pick up my running bib, nurse my baby, and make it to the starting line minutes before 8AM. I ran my race confident in the thought my baby would be content with his daddy. He seemed to be happy don’t you think? Cheers to another year of running!